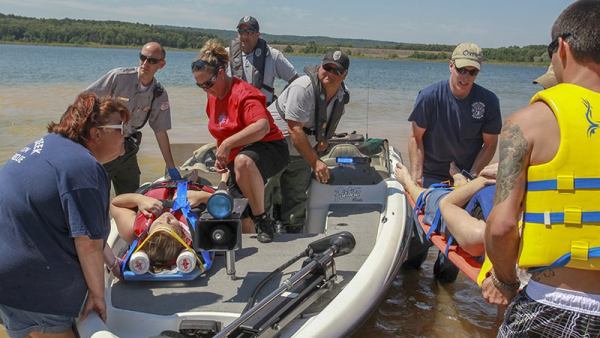 HOT SPRINGS — According to the Arkansas Game and Fish Commission’s recently published annual summary of boating accidents in Arkansas, people who spent time on the water last year saw a 9 percent decrease in boating accidents and a 36 percent decrease in the number of boaters who died from boating accidents. A total of 60 reported boating accidents occurred in 2018, resulting in an estimated $456,220 in property damage, 29 injuries requiring medical attention and seven fatalities. Seven of those six victims drowned. Weatherington says many people carry life vests on board their boat just to be legal, but fail to maintain them or make sure they fit properly, rendering them ineffective. According to the report, out of the 204 people involved in last year’s boating accidents, only 32 percent were wearing a life jacket at the time of the accident. Boaters who were operating the vessel during the time of the accident did not fit any sort of mold in regard to age or boating experience, either. This is a common trend, and as with most years there were just as many operators with more than 500 hours of on-the-water experience involved in accidents as there were people who less than 20 hours of experience. Operator inattention was responsible for more accidents than inexperience, and the average age of operators involved in accidents was 44 years old. Visit http://www.agfc.com/boatered for more information on boater education and a link to the 2018 Boating Accident Year-End Report.